“Are there any games I can play with my children?” I hear this question often, and it’s always difficult to answer, especially if the children are young and not able to play anything with a hint of violence. That closes the door on most Lego and Disney titles, Nintendo’s assortment of platformers, and even Roblox and Minecraft. There isn’t much out there for the younger generation, and I often point parents toward games on phones as a starting point. 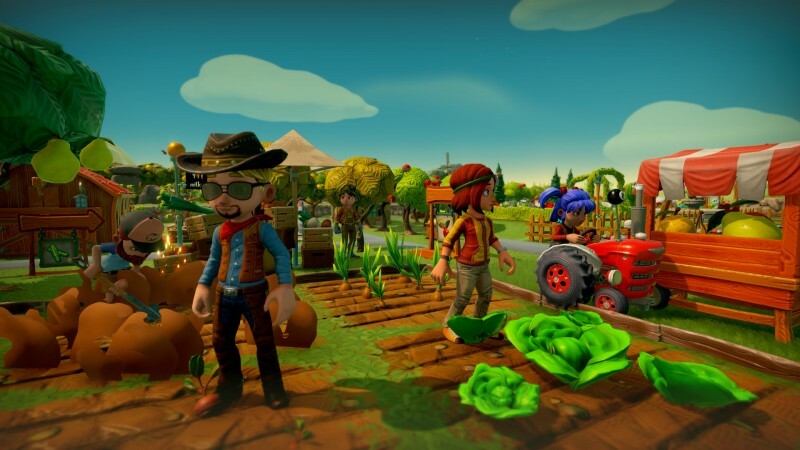 Moving forward, I won’t hesitate in suggesting Farm Together as an option, as it’s clearly designed with this question in mind, and delivers pressure-free gameplay that both children and adults will find rewarding. Farm Together is an oddity in gaming that doesn’t really present a challenge, defined goal, or obstacle to overcome. You’re just invited to build a farm at your own leisurely pace. Your farm’s crops and animals don’t die if you neglect them, and you never find yourself in financial jeopardy if you don’t have a decent harvest. For every crop that you purchase, you are guaranteed to make significantly more when it blooms. The more you play, the richer you become, and your farm continues to expand and more building options become available. You are quickly inundated with things to do, and the design is all about letting you do exactly what you want when you want. The experience ends up being about artistic expression in designing a cool-looking farm and just having fun while doing it. The controls and interface for the farming and building are easy to understand, allowing for most things to be accomplished within seconds. My six-year-old daughter can’t read yet, but she immediately grasped all of the gameplay, and was creating complex fenced-in areas for pigs and fields lush with cabbage within just minutes of playing. The only thing she had to keep an eye on was her available balance and the cost of each product. Whenever she ran out of money, she would harvest crops to replenish her wallet. 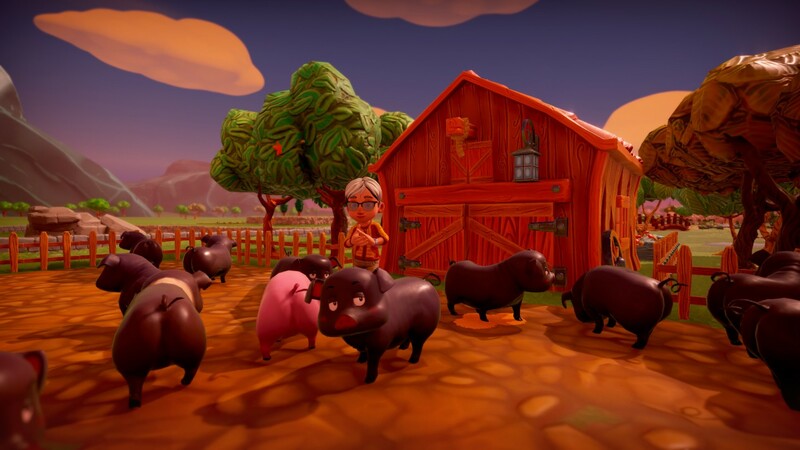 Developer Milkstone Studios did a phenomenal job of creating quick gameplay loops that allow your farm to grow quickly, and not just in conventional ways. You'll add houses, shops, and all sorts of things to give it some variety. The only frustration that can arise is the time it takes for specific crops to grow. If you want lettuce, it is ready to harvest in 10 real-world minutes. If you want corn, it takes two full days for it to grow. You can expedite the growth of everything in the game by watering or feeding it, but just by a sliver. If you have fields filled with stuff that takes significant amounts of time to grow, you could find yourself with no money to play with. Milkstone thought of this, and implemented a wishing well that gives you a small bit of money every couple of minutes that, if used smartly, can snowball and get you back on the path of growing things quickly. Farm Together oddly has a lot in common with free-to-play games of the mobile variety. By completing different tasks, players earn three different currency types to unlock specific things. If you continue building and harvesting, all three of these currencies flow in at a nice pace – and without any insidious pay-to-win options. You can’t use real money to speed anything up. Although building is easy, this is not a game that can quickly be burned through. It has hundreds of things to unlock, including expansion lots for your farm. Unlocking a new type of fruit may not sound that enticing, but there are plenty of unexpected things to get, including oddities like a hammerhead sharks and ostriches. The world ends up being gargantuan, to a fault even. Getting to the far corners of your farm can be a trek, and remembering where you placed everything can also lead to some confusing moments of exploration. A tractor becomes available in the opening hour of play to help speed up the farming itself, but it won’t get you anywhere faster. The game world is huge because it’s designed with multiplayer in mind. Up to 16 players can farm together over Xbox Live. 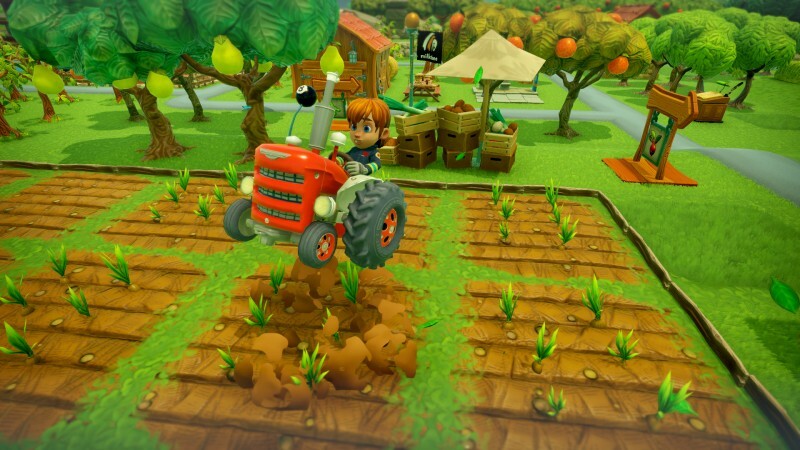 No local split-screen is offered, but the online aspect is handled well, allowing for guest and friend permissions to be set – such as “harvest only” or “plant and harvest.” The only irritation to the multiplayer is player levels and unlocks don’t carry over into other people’s new farms.